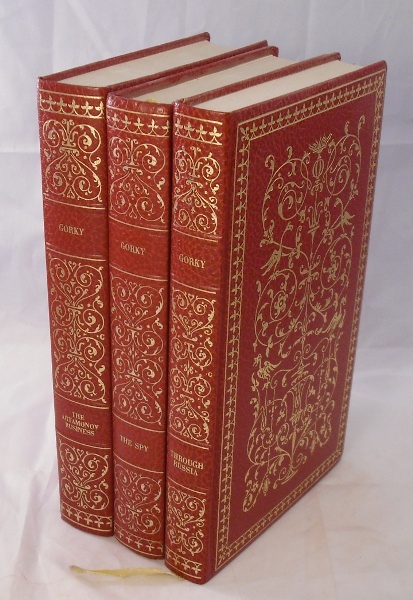 Three volumes of Gorky's most popular stories and novels including the short stories of Through Russia and his novel The Spy, also called The Life of a Useless Man, a dark satirical piece on an informer in Tsarist Russia. Elaborate gilt decoration and titling. Features original b/w illustrations by Lola Fielding, Antony Colbert and Bernard Duffield. Some slight markings to page edges but contents crisp and clean. Very good overall.